Peter is filling the drastic educational rural–urban gap by brining a portfolio of attractive educational options to the high school students, who are involved in real research projects under the mentorship of the top academic scientists. Doing that Peter is combating the discrimination of the rural but highly motivated students, who rarely access the university level education. Talented young people in school do not get the amount of attention they should to achieve the full deployment of their capabilities. This is true especially when it comes to research which could lead to infinite questions and opportunities for a developing teenager. Bringing together talented young people can create friendships and communities for a lifetime. Thanks to the Hungarian Research Student Movement, almost 15 thousand students have been introduced to the beauty of research. Some of the first students have become excellent professors or internationally recognized scientists. In 2002, the movement created an international network of 12 countries. 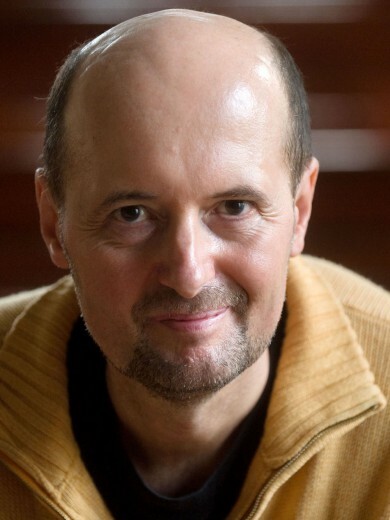 In 2004, Péter was rewarded with the European Union’s Descartes Prize for creating the movement. Péter established the Hungarian Research Student Movement (Kutató Diákok Mozgalma) in 1996 to provide opportunities in the field of research for high–school students at the best research workshops in the Carpathian basin. Every year, about one thousand students participate in the movement, which provides them with nearly a thousand mentors, numerous conferences and research camps. The movement is run by the students themselves. The first participants have become mentors by now. Several ex–student couples’ children are now becoming the next generation of research students. 5 years ago Péter handed over the leadership of the movement to ex–students. Since then he has established a talent management network of 200 thousand people extended throughout the whole Carpathian basin. As the president of the European Talent Council he is trying to develop this into a talent network on a European scale. His dream is above all to create a global talent network. already able to do the family’s shopping all by himself. That’s why he looks at teenagers as responsible and caring adults.